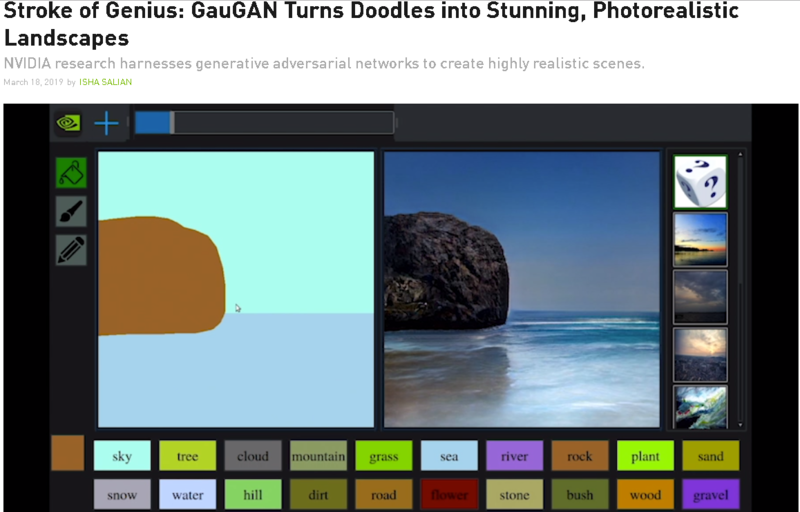 GAN stands for Generative Adversarial Networks and is a framework for the development, training and refinement of Machine Learning models. The Concept was or originally published in the paper arXiv:1406.2661v1 by a team of researchers at the University of Montreal in June 2014. The competition between the two models drive them to improve their respective methods till the counterfeits are indistinguishable from the originals. At Playware we can imagine such technologies being used for the authoring of photo-realistic environments for immersive simulated and virtual learning.